Its closing number may reassure audiences that “everything in life is only for now”, but Avenue Q, the uproarious comedy which infamously beat musical monolith Wicked to the Best New Musical Tony Award back in 2004, has been doing the rounds in the UK since it first premiered in London 13 years ago! And now it’s back, touring the UK under the director of Cressida Carré, and fuzzier than ever. Telling the story of 22 year old graduate Princeton, who moves to New York’s to figure out his purpose in life and finds himself living amongst a host of zany humans and puppets, Avenue Q is a pretty unique beast. Positioning itself as x-rated The Muppets or Sesame Street parody, it’s ingeniously zany and riotously racy, but there’s a surprisingly touching moral buried deep amongst all of the fur. Like it’s notorious sibling The Book of Mormon (songwriter Robert Lopez co-wrote the music for both, before bashing out the tunes for a little Disney film called Frozen), Avenue Q makes fun of just about everybody, and does so with abandon. But it feels loving, in a way, and definitely prompts a bit of self-reflection from its audience, after they’ve finished wiping away their tears of joy. 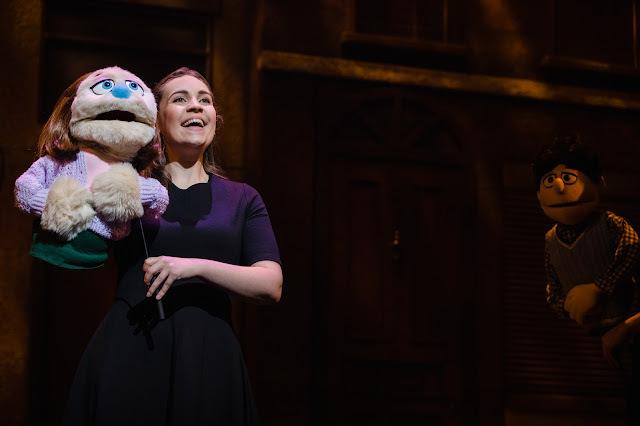 With such a reliance on the use of puppetry, Avenue Q is a show which lives or dies on the ability of the actors to breathe life into their primary coloured puppet counterparts. Thankfully, Lawrence Smith, who multiroles as both the musical’s protagonist Princeton, and his neighbour Rod, a closeted republican banker, undoubtedly has a brilliant grasp of the physicality the role requires, and is completely hilarious and a fabulous singer to boot. Likewise, Cecily Redman is endearing and sweetly voiced as Kate Monster, a Kindergarten Teaching Assistant who catches Princeton’s eye. 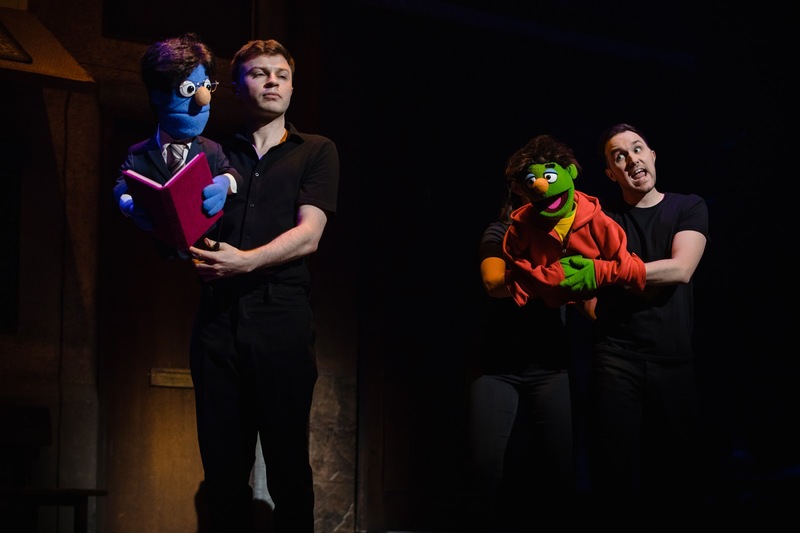 Avenue Q is the ultimate laugh-out-loud musical, with catchy songs aplenty, and a book chock-full of cheeky jibes. Deliriously funny, it’s the perfect antidote for the grey malaise of 2019.